Parking on the Church lot will be severly restricted on Easter. From 9:00 PM you are advised to park at Hollywood Bowl Parking Lot D (South Fairfield Lot) 6685 Odin Street, Los Angeles, CA 90068. 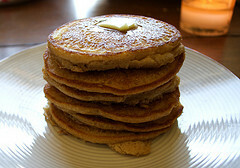 Maslenitsa! And a concert, and pancakes! Archbishop Kyrill Decree 11/2017 on Pastoral Conference 6-8 November 2017. Blessings of koulich, pascha, Paschal eggs and other food will happen on Saturday, April 15th starting around 1 pm and then continously until 10 pm. The last blessing will be after the Paschal Liturgy around 3 am on Sunday, April 16st. Parking on the Church lot will be severly restricted on Easter. From 9:00 PM you are advised to park at Sunset Gower Studios, Main Entrance, at Sunset Blvd and Beachwood St.
General Unction Service will be held at our Church of the Protection of the Holy Virgin on Monday, April 3rd at 6:00 pm. 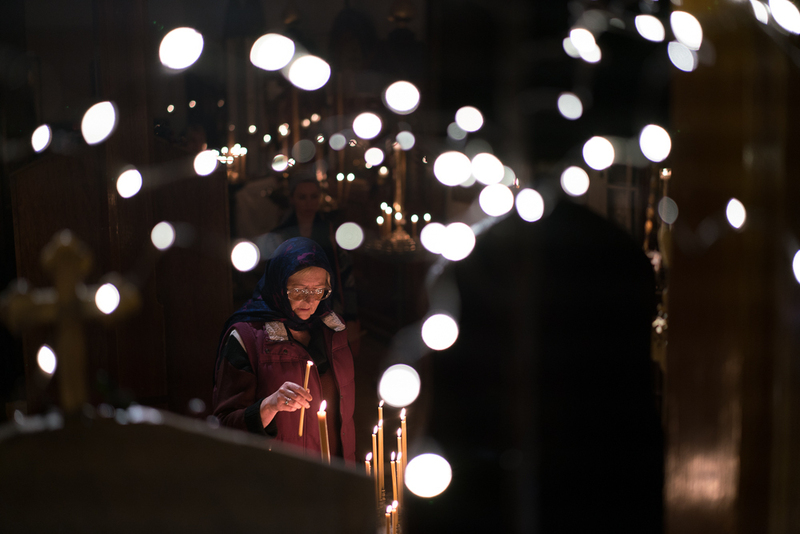 Pictures from the Paskha Service of 05/01/2016. By A. Belyarchik. 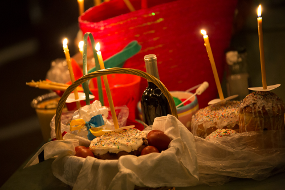 Blessings of koulich, pascha, Paschal eggs and other food will happen on Saturday, April 30th starting around 1 pm and then continously until 10 pm. The last blessing will be after the Paschal Liturgy around 3 am on Sunday, May 1st. 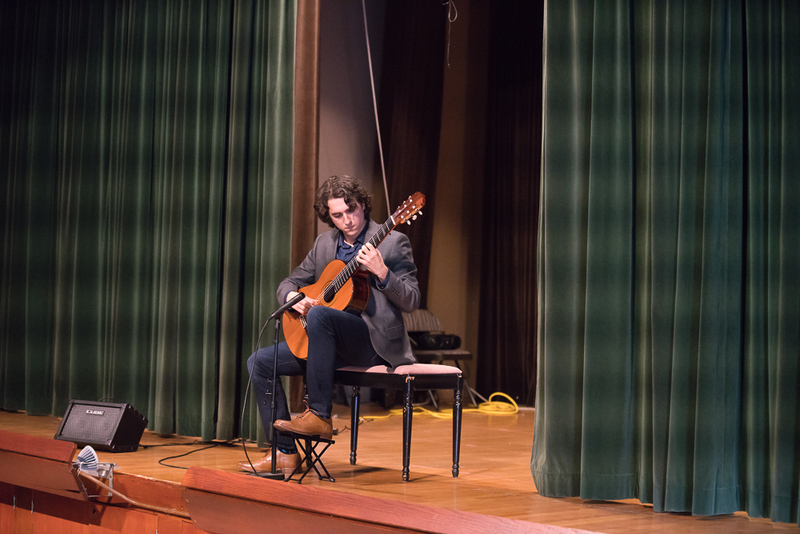 The fundraiser concert held on February 21st brought in a lot of wonderful music, spirit of generosity and more funds for the parish than expected! Dear parishioners, please join us for a Christmas Tree Celebration on Sunday, January 10th! Annual all-parish meeting will be held on Sunday, November 22, 2015 at 1pm. Father Christopher is replacing Father Martin, who left us to serve in a parish up north in San Francisco area. Fr. Christopher comes from the Holy Transfiguration Cathedral and many of us already know him. Welcome to our parish, Father Christopher! Saturday, September 12, marked the 10th anniversary of the blessed death of the former bishop of Buenos Aires and South America Alexander (Mileant). Bishop Alexander (Alexander Mileant) was born in 1938 in Odessa, Russia. During World War II, his family emigrated from the Soviet Union and settled in Buenos Aires. When he was 8 years old, Alexander began to serve in altar. At the end of 1963, he enrolled at the Holy Trinity Seminary in Jordanville, from which he graduated in 1976 with a degree in theology. A year earlier, Archbishop Averky (Taushev; +1976) ordained him to the diaconate, Metropolitan Filaret (Voznesensky, +1985) ordained him to the priesthood and sent to the Protection of the Holy Virgin Church in Los Angeles, California, where he served for 31 year as the rector. Spiritually instructing his flock, father Alexander continued his education, receiving a bachelor's degree in electronics in 1978, then a master's degree, and in 1983 - the profession of engineer in communications at the University of Southern California. He worked at NASA laboratories involved in the development of aircraft engines. 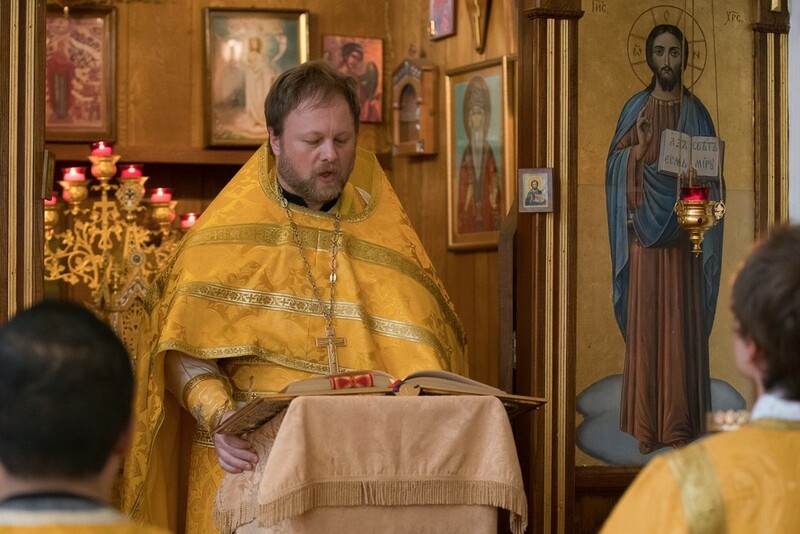 Worldly work has contributed to the fact that father Alexander became a computer expert, which, in turn, helped him to produce numerous missionary pamphlets that are popular in Russia and around the world. Today, there are more than 300 of his published booklets on Orthodoxy in Russian, English and Spanish. In 1995, Archpriest Alexander was tonsured a monk at the Holy Trinity Monastery with the name Alexander in honor of the Holy Martyr Alexander of Kharkov, who died in prison in 1939 (before that Fr. Alexander bore the name of St. Alexander Nevsky, on whose feast day he rested in peace). On May 28, 1998 at the Synodal Cathedral in New York, Archimandrite Alexander was consecrated bishop and appointed as the ruling bishop of Buenos Aires and South America. 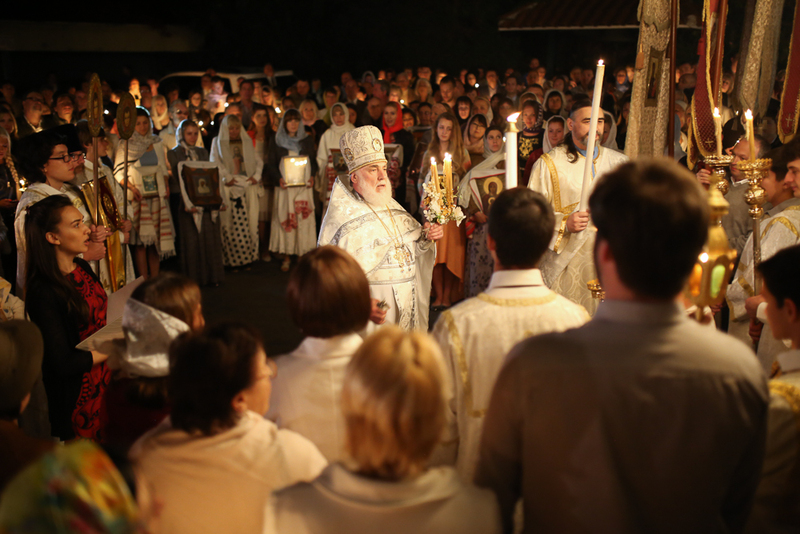 Our church of the Protection of the Holy Virgin celebrates its 50th anniversary. The service of the Great consecration of our church building was held on July 4th 1965. Palm Sunday in pictures. Click on this announcement or visit the Parish Life page on our website. 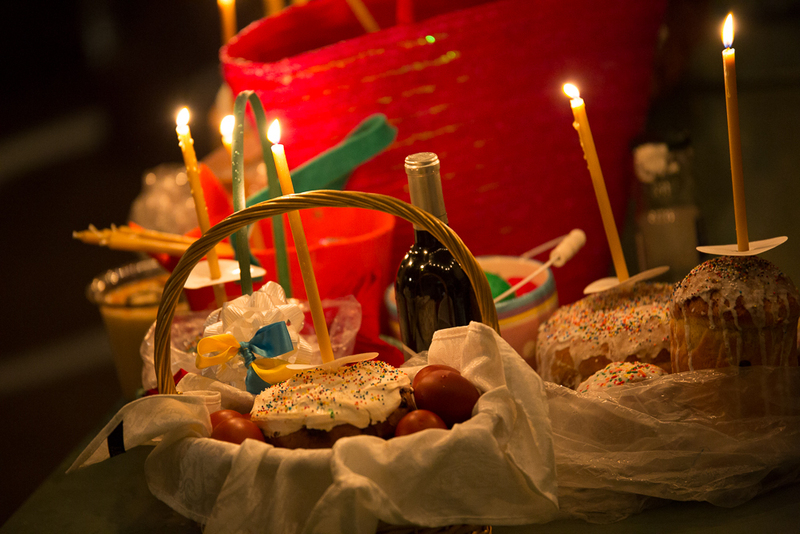 Blessings of koulich, pascha, paschal eggs and other food will happen on Saturday, 11th of April at 1 pm and 2 pm. Then after a break from 6 pm to 10 pm every hour on an hour. The last blessing will be after the Paschal Liturgy around 3 am. General Unction Service will be held at our Church of the Protection of the Holy Virgin on Monday, March 30th at 6:00 pm. 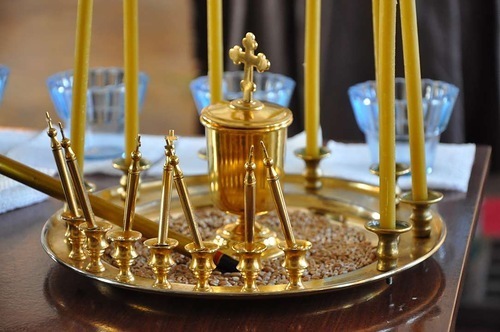 On February 19th at 7:00 pm in our Church there will be a Molieben with the Akathist to the Protection of the Holy Virgin and with following Spiritual discussion (in Russian). On Sunday, the February 8th, 2015 at 1pm the Parish Hall of our Church will host the charitable concert in aid of the orphanage of St. John of Shanghai and San Francisco (Ukrаine). Soloists: the Regent of our choir Roksana Zeinapur (soprano) and Maria Shcherbakova (piano). Due to the circumstances beyond our control the charitable concert scheduled for February 1st has been rescheduled and will take place on Sunday, February 8th at 1pm. We are very sorry for such a late notice. 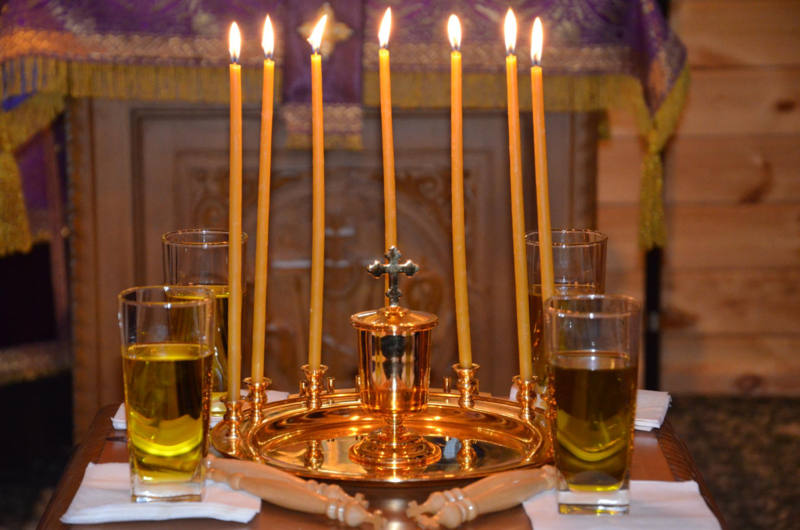 The Blessing of waters this year will take place on Sunday, the January 18th, after the Liturgy and on Monday the 19th of January, the Day of the Theophany of the Lord, after the Liturgy. Dear parishioners, please join us for a Christmas Tree Celebration on Sunday, January 11th! The New Year Molieben Service will be held in our Church on December 31st at 7pm. 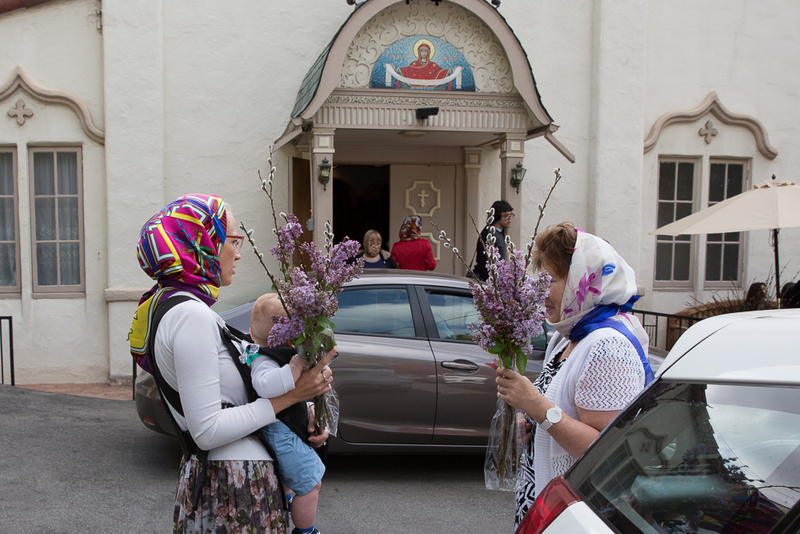 Donations collected by the parishioners of our Church for the shelter of St. John of Shanghai and San Francisco in the Ukrainian village of Old Tarazh have already brought tangible assistance. The donated money, including those collected in our parish, helped the shelter to start the construction of new dwellings, and to install a new worship cross.